When you haven't backup your android & Tablet data, how to recover deleted videos from android internal memory? Eelphone achieves to restore deleted videos from android & tablet in only three steps. For more convenient and efficient recovery of data in the long time, we should be used to backup data regularly. We, as human beings, depend on smartphone a lot. It is inevitable that we will use it to take photos and make videos. Huawei is going to release its fresh device this week, which has drawn people's attention. With its nice appearance and sound performance, people would like to have one. Helen, she was interested in making videos by her phone. She said that it was continent and saved lots of effort to record by phone. So, recording by her Huawei becomes a daily work for her. However, she often deleted some of her videos by mistakes so as to release more space to create. She was trying figuring out a means that can help her recover deleted videos. 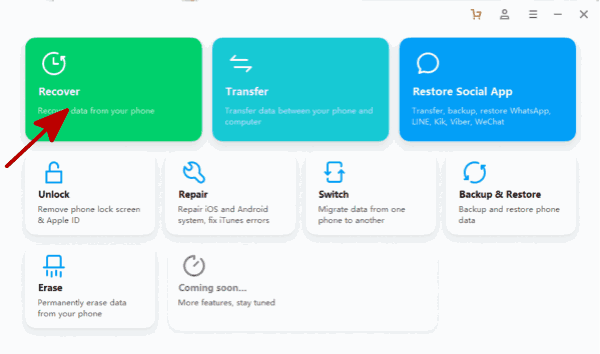 Eelphone Android Data Recovery, one video recovery app, is a professor in the field-recover deleted videos on android. It is convenient and effective. With several steps, the process will be finished. It is compatible with most Android phone, including Samsung, HTC, Motorola and so on. Not only it is available to your Android phone, but also it is accessible to the tablets. Now, it is time to learn how to retrieve deleted videos on android. Part 1: How to recover deleted videos from android & Tablet without backup. Part 2: Develop the habit to make backup. Many friends ask me how do i recover deleted videos from my android phone? When i ask them if they have backup the data, they are very surprised, ask me what is the backup, and how to backup. In this case, only Eelphone Android Data Recovery can provide one way to realize wish of video recovery for android & tablet without backup. Here is operation steps. 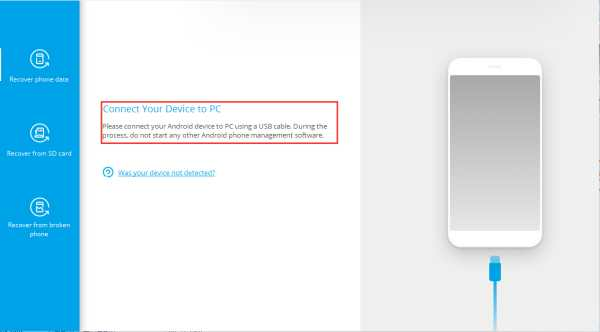 Step 1: Download Android Data Recovery and connect your phone to your computer. At the beginning, you should download Android Data Recovery on your computer and install it with instruction. Then, launch the program, and click “ Recover ”. Connect your Android device or tablet to your computer with USB cable. 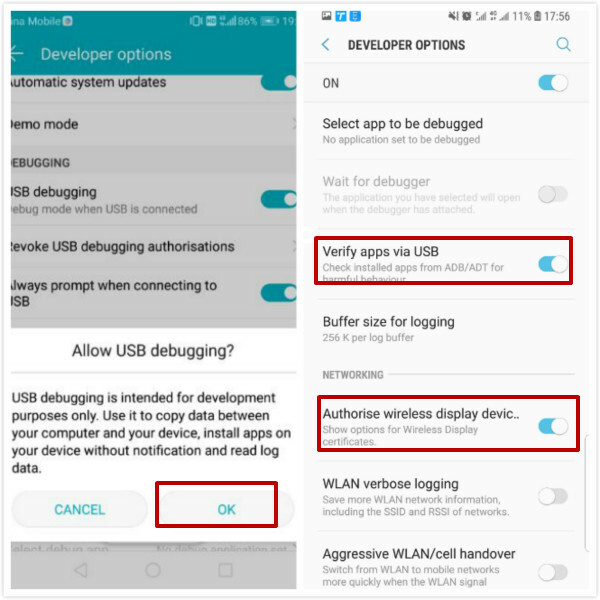 Please make sure that you have your USB debugged on your Android phone or tablet. Once your device is detected successfully, you will see the page like this. 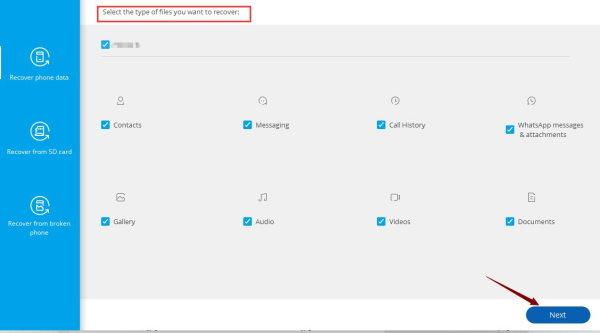 Step 2: Select videos to recover deleted videos on android. 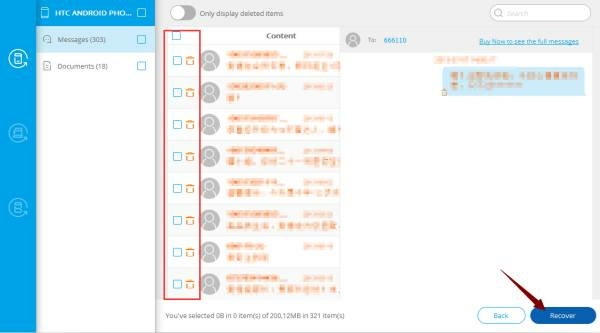 In this step, you are going to see all the recoverable data will be shown on the screen by categories. The program will check all the file type automatically. Just select the data type as you like. If your phone is not rooted, there are two scan modes provided by Android Data Recovery. One is “ Scan for deleted files ” and the other is “ Scan for all files ”. Both of them have different advantages, which you can get on the description. Then, click “ Next ” to move on. The program will analyze your device first. After that, the program will start to scan your device, which takes a while. Step 3: Preview and start to retrieve deleted videos android. When the process is completed, you are able to preview all the found data one by one. Check the data you want and click “ Recover ” to save them. For example, you want to recover videos, you can click “ Videos ” on the left of the interface, and click “ Recover ”. After a while, you will see all the chosen videos displayed on the computer. Part 2: Develop the habit of data backup. 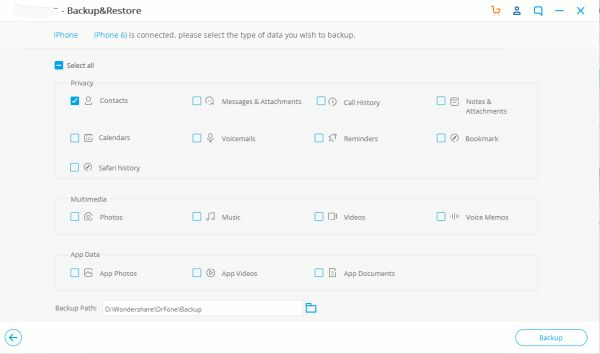 In order to avoid that you can not get back deleted videos on android entirely, I suggest that you should develop a good habit of regularly backup your files. This way, you can recover all the data you deleted. Here, I recommend you use Android Data Backup and Restore. The procedure is as follows. 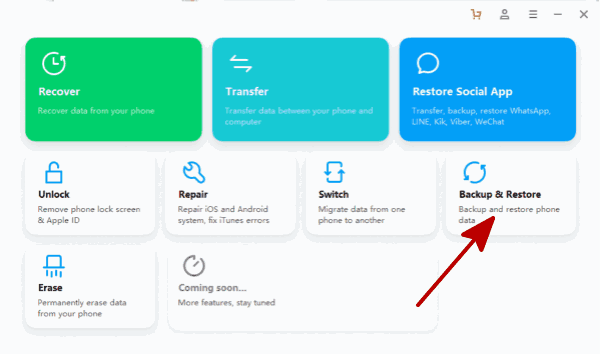 Step1: Download the program Android Data Backup and Restore, just click here to download and install. Step 2: Launch the program and connect the phone with your computer via USB cable. Click the “ Backup & Restore ”. Step 3: Now the same step comes. Choose the type of data you need to make a backup and click those boxes. Besides, you should not change the data on your phone during the backup process. And you can choose the backup path as you like. It's easier to find them back. Step 4: When the backup is finished, you can view the backup to see what you have stored. Now you do not need to worry if you would suddenly delete the data one day.